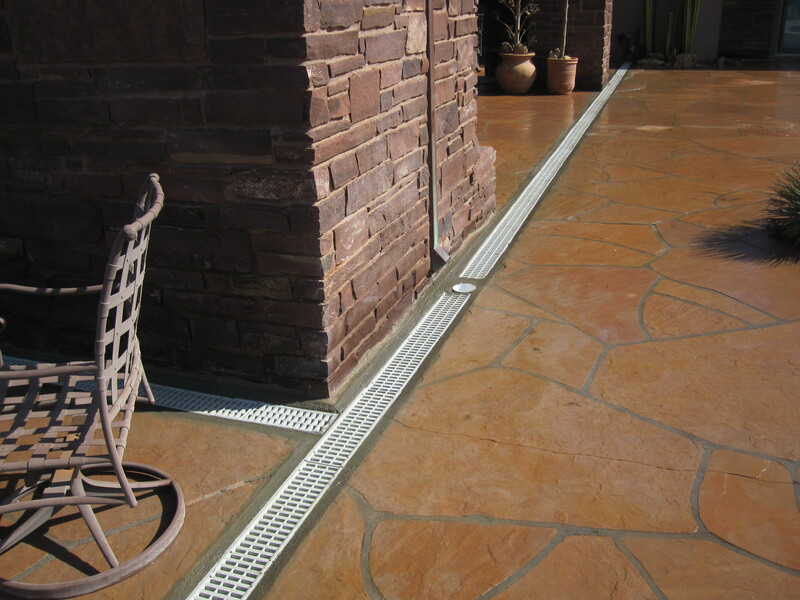 A trench drain (also channel drain, line drain, or strip drain) is a specific type of floor drain containing a dominant through- or channel-shaped body. It is used for the rapid evacuation of surface water or for the containment of utility lines or chemical spills. 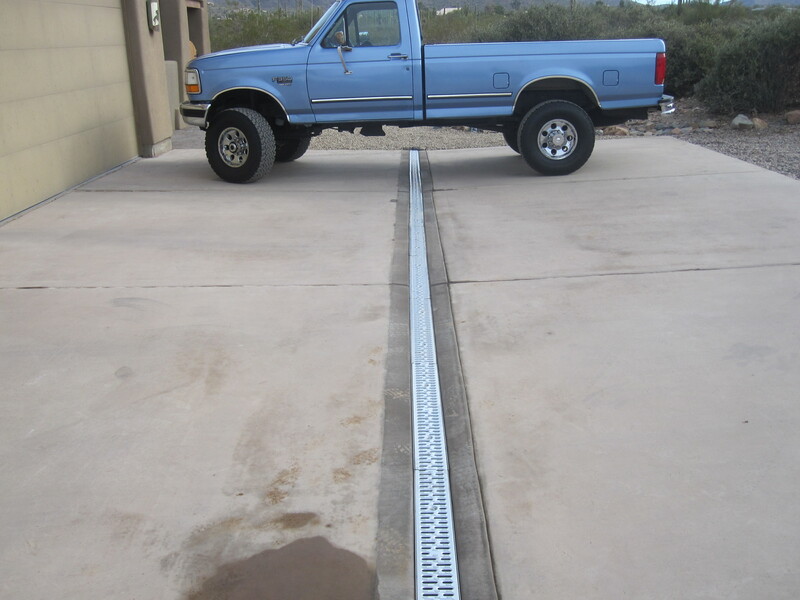 Employing a solid cover or grating that is flush with the adjoining surface, this drain is commonly made of concrete in-situ and may utilize polymer- or metal-based liners or a channel former to aid in channel crafting and slope formation. Characterized by its long length and narrow width, the cross-section of the drain is a function of the maximum flow volume anticipated from the surrounding surface. Channels can range from 1 inch to 2 feet in width, with depths that can reach 4 feet. Trench drains are commonly confused with french drains, which consist of a perforated pipe that is buried in a gravel bed, and which are used to evacuate ground water. 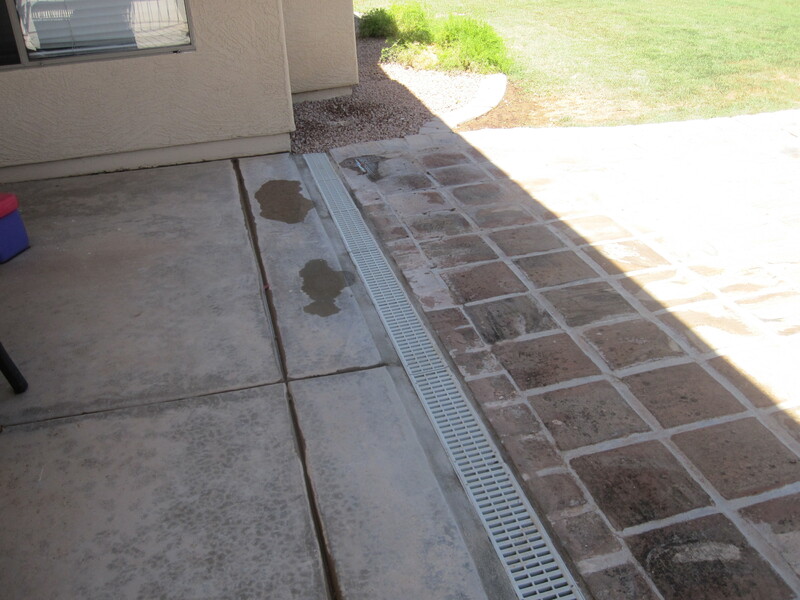 A slot drain, also wrongly associated with a trench drain, and consists of a drainage pipe with a thin neck (or slot) that opens at the ground surface with sufficient opening to drain stormwater.